Btw just tried the hair bond distorter today, simple review after tonight. Gold digger still king! :x hahaha waiting for new product to dethrone it. Hahaha kidding. Where did you get your Q8 powder? Interested to try too. can la.. his review is the best i have see so far. comprises of 3 awesome components. i recently tried the clear men menthol shampoo and develop a few pimples on my scalp , does it mean the shampoo does not suits me? my scalp type is normal - oily. 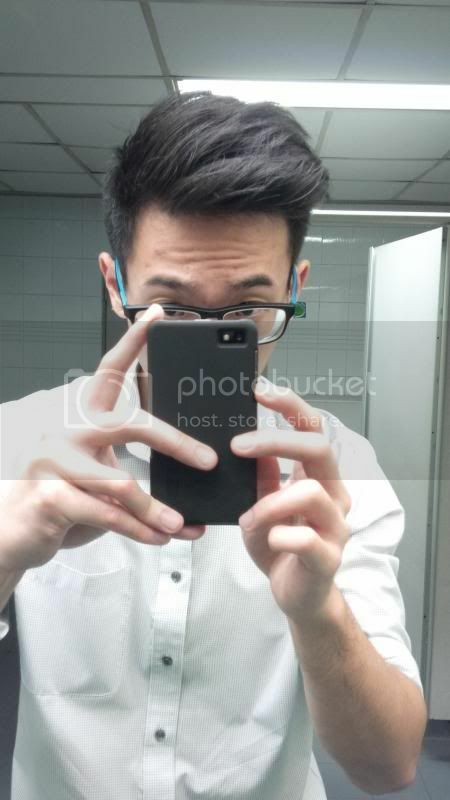 Can anyone recommend me a shampoo that can wash away water-based pomade and other impurities? i apply pomade almost everyday. Its actually natural to develop pimples on scalp. When you develop pimples on the scalp, this means 2 things in general. #1: Impurities are not properly removed from the hair and infected the scalp. #2: Due to the humidity and weather of SG, oils are excessively produced by the scalp and your hair will feel very oily. Then you will start to develop pimples there too. Again, hope my 2cents worth of opinions help. Dont act one humble, bro. Later i go over and slap u. But seriousy, i feel yours is better though. Both has its pros and cons. I texted you bro! Do check it and let me know if it interests you! Q8 Matte Powder 3 from Japan costs $22.90. Though its just 10g, it can probably last you for approximately 3-5months or so if you used daily. Highly recommended by our deaththeorist bro. Will be posting my review on it once i used it tomorrow. wah lao.. good things must complement. later i go tell slikhaar. use yours better. then with your review and feedback, time for gold digger 2! something different (but still look similar i think). using distorter by hair bond and finish with osis+ freeze spray. Last edited by deaththeorist; 12-09-2013 at 11:12 AM..
i was the first one that you told! hahaha good choice of cocktail also. Last edited by gaoxing84; 12-09-2013 at 02:30 PM..